HP notebook dv2690el and linux and… WOW!!! 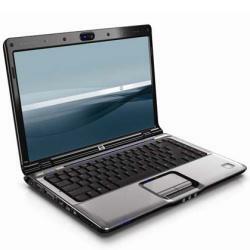 Hp dv2690el (dv2000 series) is my new laptop. So, my friend, I’m going on linux with my preferred distro: Debian. And I’m going like a rocket!!! When I bought this notebook I thinked «I hope that linux works with it». But now, with debain unstable and kernel 2.6.26-1-686 I think: «Wow!!! It’s completly ready to work after installation!!!». Webcam works without any configuration, also with Skype. alsaconf configure audiocard in no more than 30s, nvidia video card has native linux drivers directly from productor, wlan is active immediatly and without problems (see my dv2690el linux wireless how-to), touchpad it’s right, eth0 works without problems during installation (NETinst) and after, k3b burn CDs and DVDs whitout stop, special keys work immediatly with xmodmap and remote control too… simply wonderful!!! You like linux and want a new notebook? dv2690el it’s a good choice! Name this file .Xmodmap and put it in your home (~) directory. Reload X or type xmodmap ~/.Xmodmap.